Abstract : In this paper we introduce a new method to compute, in real-time, the physical behavior of several colliding soft-tissues in a surgical simulation. The numerical approach is based on finite element modeling and allows for a fast update of a large number of tetrahedral elements. The speed-up is obtained by the use of a specific preconditioner that is updated at low frequency. The preconditioning enables an optimized computation of both large deformations and precise contact response. 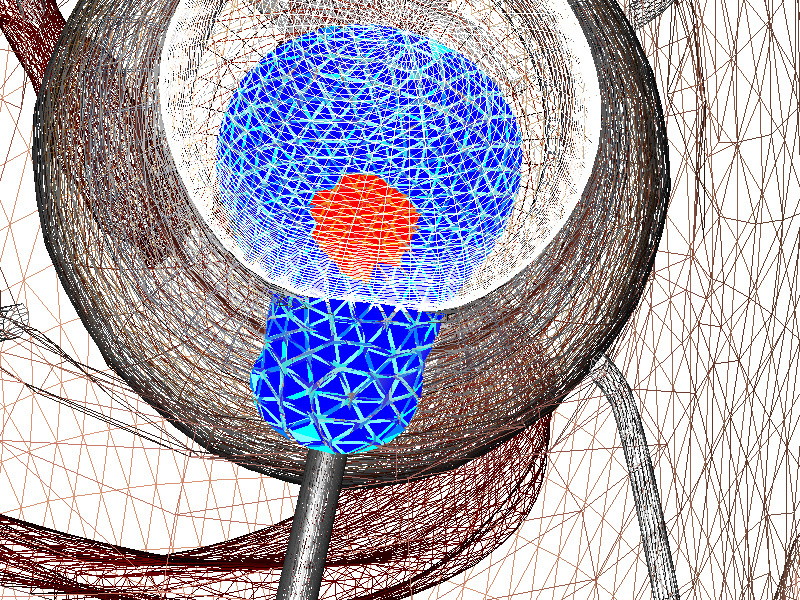 Moreover, homogeneous and inhomogeneous tissues are simulated with the same accuracy. 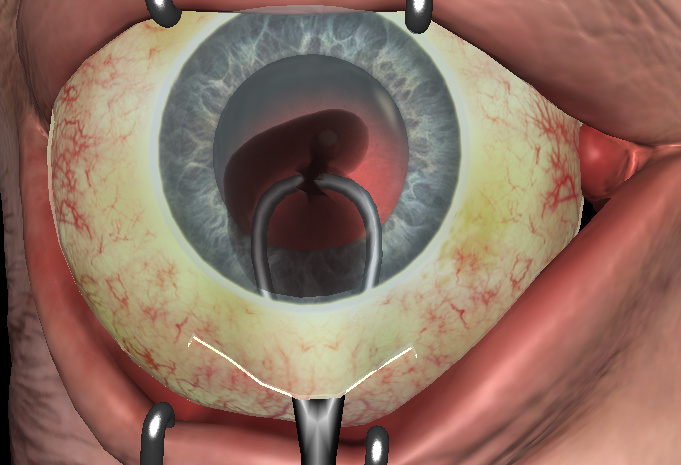 Finally, we illustrate our method in a simulation of one step in a cataract surgery procedure, which require to handle contacts with non homogeneous objects precisely.